HMD Global's deal with Nokia to license its name for smartphones has been a rousing success. For example, today's flash sale to launch the Nokia X6 sold out all available inventory in ten seconds. The Nokia brand is on its way to having some relevancy again; the 4.4 million smartphones it sold in the fourth quarter of 2017 topped the number rung up by HTC, OnePlus, Google, Sony and Lenovo during the same period. It makes you wonder what might have been had then Nokia CEO Stephen Elop chosen Android instead of Windows Phone to run Nokia's new connected handsets back in 2011. It was a decision that Elop said he never regretted. In 2013, Nokia announced that it was selling its handset business to Microsoft for $7.2 billion. The deal contained a non-compete clause that prevented the Nokia name from being used on a smartphone until late in 2016. In May of that year, HMD Global licensed the Nokia name and a new era was born. Surely you've heard the old saying that "it takes money to make money." With that in mind, HMD Global announced today that it has raised $100 million to ramp up growth of its Nokia revival. Last year, the company sold 70 million Nokia branded handsets, ringing up $2.1 billion in sales. In 2017, Nokia was the top selling feature phone brand and ranked 11th in smartphones according to Counterpoint Research. This year, HMD Global says that it plans on doubling sales channels in certain regions, while expanding the range of the Nokia smartphone line. That takes cash to accomplish. Among the new investors is Foxconn subsidiary FIH Mobile, the company that actually produces Nokia phones. Another new investor is DMJ Asia Investment Opportunity. Keep it up HMD! And bring em all to N.A. too please. I agree. They are pricing their products competitively and making a better comeback. Yup. They aren't like other companies that are trying to make a comeback, but continue to overprice their devices trying to sell on name alone. Exactly. When you can produce smartphones that are in demand more than flagships from stalwarts like Google, HTC and others, you know you’ve got a winning formula. When Nokia got back into it through HMD, I thought they probably have what it takes to make a good come back. But given how much competition there already is in the Android space I never would have guessed they'd be this successful so soon. It's really impressive! Exactly! I think people really underestimated the power of the Nokia name itself, and underestimated the fact that HMD could produce compelling Nokia branded handsets. Nokia is perhaps the most well loved mobile phone brand in the world. I generally won't believe anything until I see the numbers, but the only reason why they are successful is because they are priced competitively. Despite the contrary, I like Nokia's Android offerings. I think they are a good alternative to the fantastic Pixel phones due to the fact that they are stock Android and part of Android One. Hey Subie, did you see this article? https://qz.com/1283670/the-two-year-old-company-that-makes-nokia-phones-is-now-worth-over-1-billion/ In just just two years from it’s inception, HMD is now worth over a billion dollars. I remember when certain people here said that Nokia was dead and that HMD were just cheap Chinese knockoffs of Nokia, without even having full knowledge of who actually works at HMD to begin with; and said that they were over saturating the market with the amount of handsets they were releasing and that they’d go under because of it. Now that HMD has proved that they are the real deal and their Nokia branded smartphones are selling very well, people are changing their tunes, lol. Keep up the Fantastic work, HMD. You are definitely going strong and doing the Nokia name Justice. Nice find. It'll be interesting to see how much they grow this year. "The Finnish company that sells Nokia-branded phones isn’t named Nokia. It’s a startup called HMD Global founded two years ago to license the Nokia brand for its handsets. Yesterday (May 21) it announced that it’s valued at over $1 billion, after raising $100 million from investors." That's why I always read the fine print. You never know what you may find. That very last line is critical information. Not to say that Nokia isn't doing well, that some people need to actually check their sources lol. “.....it announced that it’s valued at over $1 billion, after raising $100 million from investors." I find it hilarious how some people here claim to have actually read the article but don’t seem to comprehend what is being said in it. It literally says that they are valued at over a billion. Here’s what value means: val·ue [ˈvalyo͞o] NOUN the regard that something is held to deserve; the importance, worth, or usefulness of something. "your support is of great value" synonyms: merit · worth · They literally wouldn’t have been able to accomplish this without performing very well to begin with. Some people need to actually comprehend what they read. It's funny how some people so quick to try and save face after they are proven wrong with the real truth. They are so quick to jump at something that they aren't even using common sense to understand the point. It’s hilarious how you’re doing the exact thing that you say “some people” are doing. You must be looking in a mirror. They have been killing it lately. Nokia smartphones are exactly what the community has been asking for. Clean android, good hardware, and good price point. Good job and please ditch the notch! The notch complaints are in vain. Just like sd slots, removable batteries, and headphone jacks. The notch is here for the foreseeable future, until Apple decides it’s out of style. I'm waiting for their high end versions! Super excited for the day Nokia releases a proper flagship! A top tier Android phone, with top shelf specs, and that old Nokia magic. I wish they would release a high end version. Right now the Pixel is the only pure stock phone with the best specs, and the current Nokia devices just can't compete with those specs. I'm more eager to see the successor of those 40MP Pureviews. Awesome! There were a lot of doubters saying that HMD couldn’t pull it off, and that they were releasing too many handsets, but the amount of Nokia branded handsets that HMD has been releasing has only had a positive effect on them, because they have been putting out quality handsets that outsell many well known name brand OEM’s today, like Google, OnePlus, and others. Kudos to you HMD, and keep up the great work. You are doing the Nokia brand justice. I give props to HMD, but until they actually release their devices here for all carriers, I can't support anything that they say. They release so many phones, but not one has made it over here to all carriers. I feel like they could be a decent alternative to the fantastic Pixel phones. Here's hoping we get an HMD Pixel in the future. Been using Nokia 8, one of the best software experience I've ever had since Nexus. Not good for rooting but very good for just using it, latest security update and Android version. Agreed. I have a Nokia 6 and the software experience is great, and HMD has been awesome with Security updates, even beating Google to the punch. HMD has also been pretty good with full OS updates. Them making Nokia branded devices is a genius move, especially due to Nokia’s brand recognition, which is much stronger most, including HTC and Google branded smartphones, among others. Here’s to hoping HMD doesn’t stray from making any other branded handsets except for Nokia. It’s a winning formula for them. The software experience is very much comparable to the Nexus and Pixel phones. Granted, they don't top Google since Google are the ones that release the security updates available. A change in Play Services update made it to where you can get the security update as soon as Google releases it and you can get it by checking for updates in the settings section of your phone if you're using the Pixel phones or Android One. Nokia branded handsets and Google branded handsets do have similar software experiences, but not only has Nokia beaten Google to the punch a few times with monthly security updates, they add features that Google doesn’t, making their monthly security updates more appealing. And with Nokia now releasing Android One smartphones, which will give them even speedier OS updates, one can definitely choose Nokia branded smartphones as a viable (and better, IMO. Nokia branded smartphones don’t have near as many bugs and issues as Googles Pixel line does) alternative to the Pixel line once HMD releases a full on Android One flagship. Some people think they know how updates work, but they obviously haven’t got a clue. They also seem to defend smartphones that they pretend to own with fabrication because they don’t want to accept the truth. The point of Android One smartphones are for the smartphone to get speedier OS updates. Being used on all carriers isn’t the point of them, even though CDMA is dying and will be defunct in about five years, and has always been eclipsed by the much more widely used GSM. It only makes sense that a company that has come about just two years ago focuses on what’s actually relevant and future proof. Plus, Nokia’s Ozo sound gives its smartphones that are equipped with it such amazing sound quality that it bests most, if not all, other smartphones with stereo speakers. 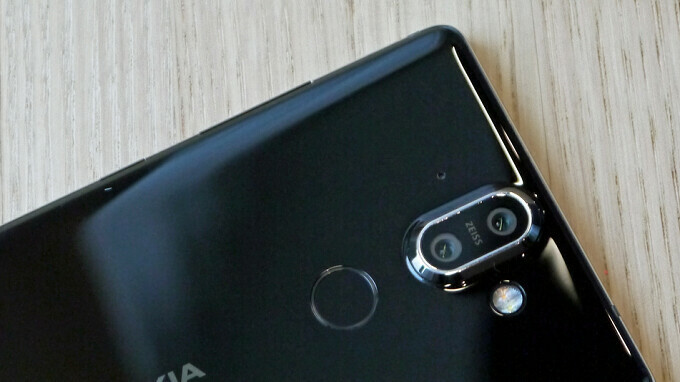 Nokia has always been known for having the best camera tech available, and once HMD released their upper echelon flagship, it will continue to do just that. But for now, smartphones like that Huawei P20 Pro, the Samsung Galaxy S9, and the newly released HTC flagship have the best cameras on them, even beating out the current Pixels. Nokia has also been phenomenal with the monthly security updates, even bearing Google at times and adding in features that Google does not. Some people just choose to live in denial about it. Some people like to project their own ways onto others. It’s extremely sad when they do that. They need to get a life more than anyone. I have never seen anyone that claims that someone else is against choice when they themselves constantly bash other peoples choices in smartphones, as if their choice is the only viable one. They are so blinded by their own fake reality that they just refuse to allow people to choose what they like and talk about it amongst others that like it in peace. These people even go as far as to make almost a dozen accounts on internet tech sites just to troll others for their choice and pass their fabrication on as if it were fact. What’s relevant is letting others use what they like in peace, and not complain about OEM’s choosing the more advanced and future proof GSM networks instead of the one leg in the grave CDMA networks. They just can’t accept that most people in the world don’t want it, and that manufacturers don’t want to spend money on dying and almost obsolete technology. These same people also can’t accept the fact that Nokia smartphones have beaten Google at times when it comes to providing the more important monthly security updates, and always add fresh new features to them, unlike Google. They just can’t accept the fact that Nokia branded smartphones outsell Google branded ones by a large margin. Some people are misinformed about how Google works when it comes to Android updates and security updates. They are also exaggerating some about the Pixel. The Android One Nokia phones are good, but they can't be used on all carriers like the Pixel phones can. Plus they don't have stereo speakers like the Pixel 2 phones. And the camera, don't even get me started. Nokia produces some great camera phones, but nothing imo can match the Pixel phones in the camera department. That software optimization is unmatched. As for the security updates, those used to be released in waves but that is a thing of the past if you don't want to wait for them now. That's why some people are so misinformed.